Road Trail Run: T-Pin! Vector: One roller to rule them all? T-Pin! Vector: One roller to rule them all? We asked Peter Stuart, a masters runner in his late 40's with a recent sub 1:25 half and Shannon Payne, a two time Mt Washington Road Race winner, 3d in 2014 World Mountain Running Championships, and 7 time cross country and track All-American to put the Vector to the test. T-Pin! is a Wolfeboro, New Hampshire based company started in a garage by Mark DeNitto, a former competitive rower, coach, and teacher. The Vector represents the second generation of T-Pin! product, the first 3987 were fabricated by hand in Mark's basement using over 3,000,000 feet of cordage! The Vector is now made for T-Pin! in far northern New Hampshire at a small specialized molder out of a special plastic which ends up with a firmness between a lacrosse and tennis ball. T-Pin is an official supplier to U.S.A. BOBSLED / SKELETON & U.S.A. CANOE / KAYAK. The T-Pin! Vector ($59.95) is roughly 16” long, weighs 1.5 pounds with 4” polyurethane wheels on each end. There are essentially two angled rollers with a notch in the middle. It’s a unique size and configuration that helps make it a versatile and portable self-massage and trigger-point tool. 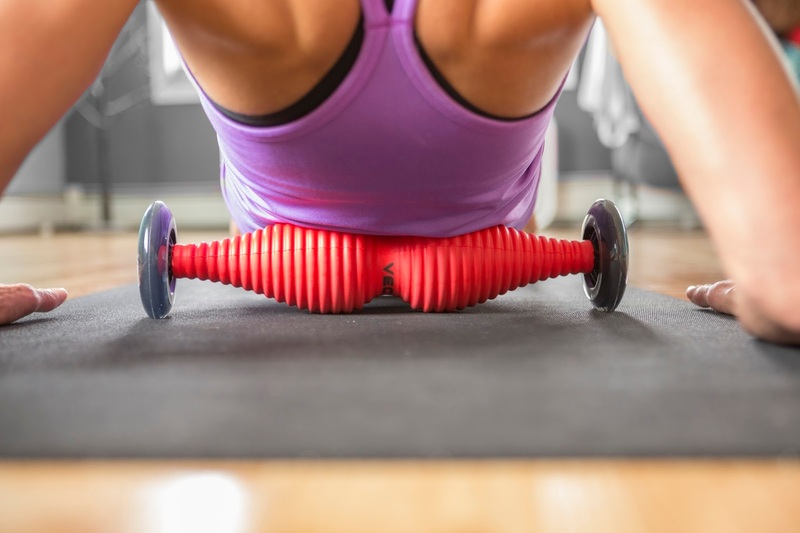 The T-Pin Vector claims to be a “swiss army knife” of foam rollers. The idea is that it takes the things that several other rollers, balls and gizmos do pretty well and puts them all in one portable package. So how does it live up to these promises? Read on to find out. What areas does the Vector address? Peter: The T-Pin Vector does a great job of getting to some areas that other foam rollers miss. 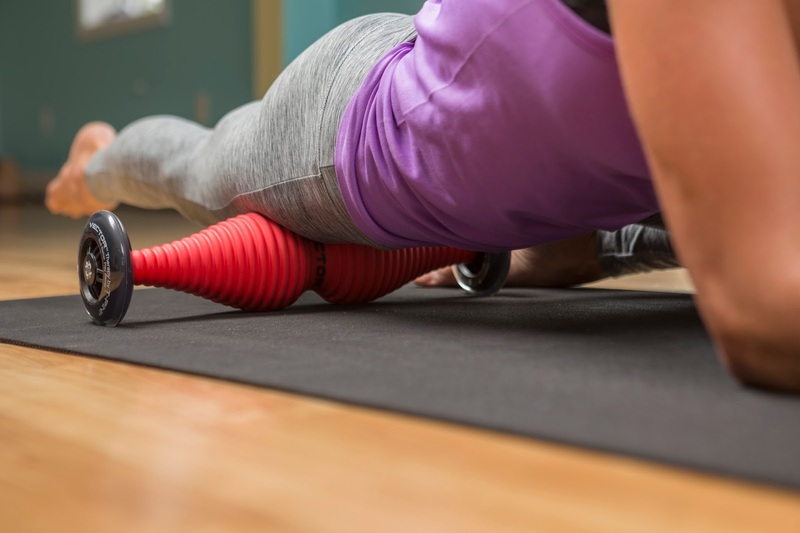 Any foam roller can get the calves and the hamstrings, but it’s tough to get any good work done on glutes, hips and lower back with most foam rollers. I generally need to hit calves, quads, glutes, lower back, upper back and feet when foam rolling, and I’m happy to say that the T-Pin Vector does a pretty great job of addressing all of those areas. Some better than others. What other rollers and methods including massage, PT, etc.., have you tried? Peter: I regularly use a Trigger point Grid Roller, Trigger Point balls (for feet and kinda sorta back) and my favorite the Roll Recovery R8. Shannon: I've pretty much always stuck to the trusty $12.95 foam roller and lacrosse ball when it comes to regular DIY self-maintenance. Other than that I am a huge fan of dry-needling as far as actual therapy goes. 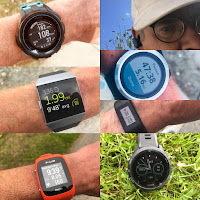 Having spent a few years working in running stores, with their magical wonderlands of re-hab and pre-hab paraphanailia at my fingertips, I’ve tried a variety of things over the years...from The Stick to the Grid roller and the Grid’s version of The Stick, numerous Pro-Tec products, to Roll Recovery Products and the Trigger Point balls, plus Foot Rubz and the Theracane, and who knows what I left out. The T-Pin Vector is intended to be versatile enough to negate the need of numerous tools, instead being sufficient enough on its own to address most runners’ preventative maintenance needs. How does the Vector compare? How effective and practical is it? Does it replace multiple other tools or not? Shannon: The T-Pin certainly does appear to be a combination of many things, and it works as such. The body of the roller itself is not a single, uniform circumference, but rather is a cylinder that undulates in terms of diameter, making it ideal to work for a number of ailing body parts. 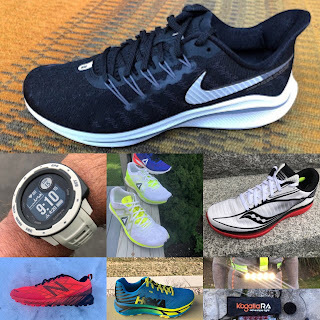 My running store colleagues and I found it to be especially effective on the shoulders, back, calves, and bottoms of the feet. 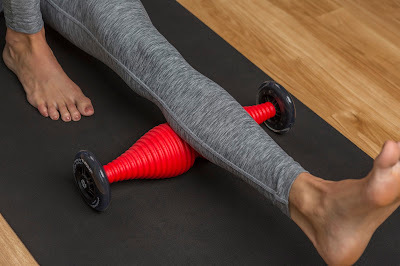 There are areas of the roller that are small enough to be more precise for smaller areas in need of TLC, which isn't necessarily something you can do with a Stick or a typical foam roller. Where it did fall a bit short for myself was for use on the quads and IT bands, simply because the density was a little too much to spend much time on those areas...or I guess I should toughen up. Peter: I think the T-Pin is as good as, or better than, any other roller I’ve used. The combination of portability and ability to address multiple areas of the body effectively make it a great bargain. 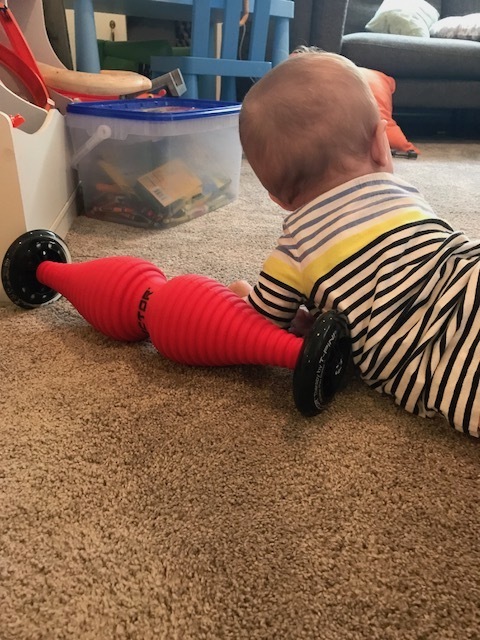 The R8 from Roll Recovery is heavy to travel with and doesn’t address as many areas of the body and most foam rollers are just too big for me to take when I travel. The T-Pin easily packs into a duffel and is light. Peter: The T-Pin is actually an extremely versatile and well-rounded little machine. My little one like it too, so good for all ages! I think the Roll R8 holds an edge on ease-of-use and convenience in addressing the hams, quads and IT band, but it’s awkward on calves and glutes. 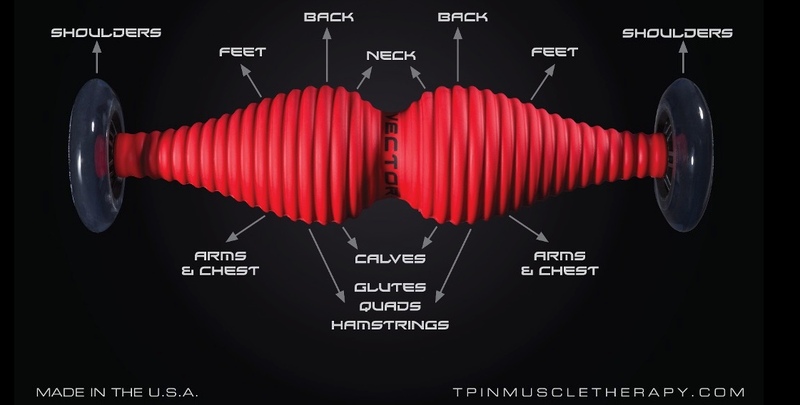 The T-pin, due to the two bumps in the middle and the angled rollers on each side, does a great job of getting both the inner and outer calves, the lower and upper back, the glutes, IT band (albeit on an angle), feet, hamstrings, quadriceps and even hips. It’s easier to travel with than a foam roller and takes up a little less space and weight than the R8 does. I’m a fan. The only issue I had in using the T-Pin Vector is that it tends to get caught on loose fabric and roll it up. If you’re wearing shorts or loose pants or a loose shirt, they can get rolled up in the T-Pin. I don’t think there’s any way around it, but it may take a little getting used to. Shannon: the T-Pin does seem to fulfill much of its intention to replace many rehab tools by itself. You really get some great bang for your buck. Its versatility in terms of size and different surface types on the roller make it ideal for working on a number of different areas effectively. In regards to recommendations, it would be to have a fewT Pins of different densities and sizes available. However, I asked T-Pin! founder Mark DeNitto about the possibility of the Vector coming in different densities, it was explained that the Vector’s density falls between that of a tennis ball and a lacrosse ball, making it the most effective firmness available. It's science, folks! When it comes down to it though, this is a wonderfully versatile tool and certainly worth adding to your arsenal of DIY physical therapy tools. In fact, you might find yourself needing a much smaller arsenal with this added to it. The Vector was provided at no cost.The opinions herein are entirely the authors'. USE CODE "FRIEND" FOR A 20% DISCOUNT! Road Trail Run receives a commission for purchases through the stores below. Your purchases help support our site's work. Thanks!